H. J. Crumpton (Hezekiah Jones), b. 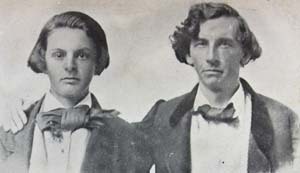 1828 and Washington Bryan Crumpton, 1842-1926 The Adventures of Two Alabama Boys. The Adventures of Two Alabama Boys. Montgomery, Ala.: Paragon Press, 1912. Crumpton, H. J. (Hezekiah John), b. 1828.